Happy Waif Wednesday! Meet our fabulous Waifs of the week: Budrow, Munchkin, and Helena. These three lovebugs can’t wait to find their forever homes! Pleased to meet you! My name is Helena and I’m a sweet one-year-old gal with beautiful, brown fur. I came to Wayside after my last shelter ran out of space. Moving around has been a little scary but Wayside let me know that it won’t be long until I find my special people! I can be a little shy when I first meet someone, but I warm up quickly. Once I’ve had some time to sniff out a new situation, I’ll wag my tail and give you so many kisses! I like treats and I take them very gently. I don’t know a whole lot of commands yet, but if you throw some treats my way, I promise I’ll learn quickly. This girl loves her treats! I’m great at walking on a leash, so I’d love to spend some time outside with you! We could go for a walk around the neighborhood – maybe even a run if you can handle it! – or check out a cool park. I’m up for anything as long as we’re together. I think I’d love to have a dog friend at home, but I’ll have to meet any other pups you have before I come home with you. I think it would be great if you brought them with you to meet me. If I sound like the perfect pup for you, please come to Wayside and ask to meet me! I think we’ll make a great team! You can watch a cool video about me here! Meow! I’m Munchkin. I’m a loving eight-year-old gal looking for my forever home. I came to Wayside after I was found as a stray right after New Year’s. You can imagine how cold and lonely I was out there on my own, but my friends here at Wayside have given me a warm temporary home! I love attention, and I’ll always make sure you remember that. If I’m not busy, I’ll sit on your books while you’re reading, I’ll sit in your lap while you’re watching TV, and I’ll sit and watch you sweep when you’re cleaning. You’ll wonder how you ever managed without me! I might be a senior gal, but don’t let my age fool you! I love playing and running around, especially when toys are involved. In fact, I like to carefully plan out my attacks when playing with toys. I’m a smart cookie, and I know what those toys are thinking! Wands are my favorite, but I can play with anything. If I sound like the perfect kitty for you, come to Wayside to meet me! Hi there! 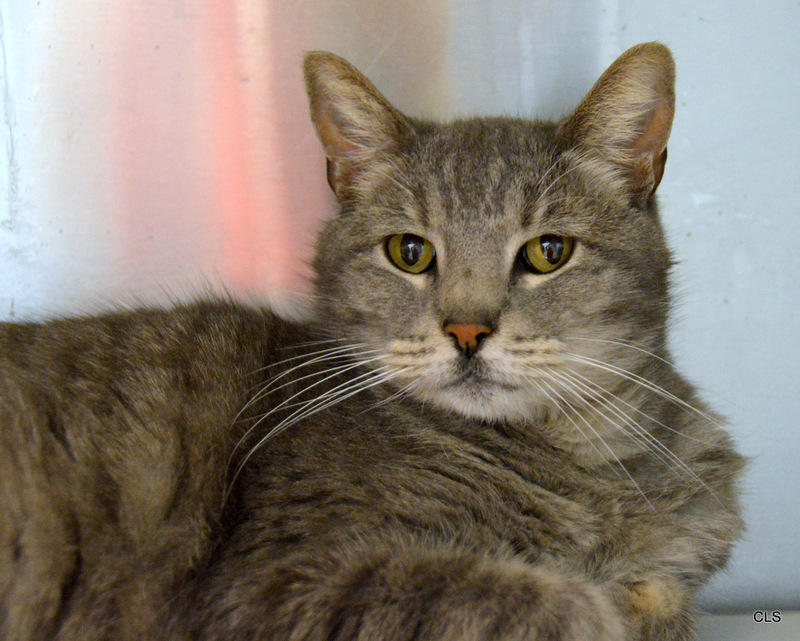 My name is Budrow, and I’m a handsome one-and-a-half-year-old fellow who is full of youth and energy! I was transferred here from another shelter when they ran out of space, but boy am I glad to be at Wayside where I know I will find my forever home! It may take me a little time to warm up to you, so please don’t let that overshadow my goofy personality. I just need some time to get to know you, like you will do with me. If you have any yummy treats or call me by my name, I’ll be sure to warm up to you! I will need a lot of fun and daily exercise, so if this sounds like something you can keep up with, I’m sure we will be hooked at the hip! I prefer not to share my love for you, so I would like to be the only dog, and because I am so strong and full of excitement, I may do best in a home with no children under 5 for now. If you are looking for a fun and goofy dog who will give you unconditional love, please come visit me at Wayside Waifs! This entry was posted on Wednesday, February 6th, 2019 at 2:44 pm	. You can follow any responses to this entry through the RSS 2.0 feed. Both comments and pings are currently closed.